Once upon a time, there was Apple’s Newton. It was so advanced and expensive that consumers… hmm… trashed it. Then the market moves on. Apple’s iPad brought us back to the world of tablets where every single techno-titan such as Hewlett-Packard, Lenovo and Fujitsu tried to saturate with their convertible laptops and failed. Yes, those companies sold only a few units. Only until Apple has captured consumers around the world with their iDevices. Para sa mga adek ng DoTA na walang kamalay-malay sa labas ng computer shop, Apple released last April its latest “magical” device, as Steve Jobs called it, the iPad. Apple’s iPad is a tablet computer with the same function, looks and features of an iPod Touch (hopefully hindi naman nakakalito spelling ng dalawang device hehe – mga jejemon diyan baka malito ha). 2 main features that differentiate it from its older brother is its 10″ size and 3G communication capability. Yes pinoy gamers, you’ll be spending more for the same capabilities as an iPod Touch for over $500 bucks but with a better screen real state and 3G. The iPad was backed by the same rich apps present in iPhones and iPods through Apple’s iTunes. With thousands of apps ready for download, your iPad is on steroids and ready to rock & roll. Acer, MSI and HP have all expressed their intention to compete with Apple by releasing their own version of tablet computers that promises to deliver a rich array of connectivity for high-def video and USB devices which the iPad obviously lacks. A slew of devices will be presented in the upcoming Computex while Dell already announced the availability of its 5″ Streak this June 4 to be first launched in the UK and later in the US and the rest of Europe. Fusion Garage with its $500 JooJoo tablet is already selling in the US but isn’t doing well. It was designed for browsing the web and nothing more. Unlike the iPad, JooJoo has no marketplace like iTunes to extend its functionality. It may have supported Flash but with the current software and support it’s quite a disaster. Among all the upcoming tablets, I was more excited at what HP will unveil. 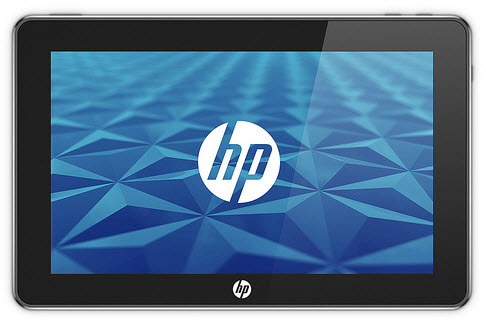 It was earlier known that HP Slate will be powered by the Intel Atom microprocessor and Windows 7 operating system. But recently this was rumored to be canceled to give way for software (and maybe a hardware) overhaul after they announced the acquisition of Palm. What’s the big deal you say? Well, because along with the acquisition is the ownership of one of the world’s best smartphone OS – the WebOS! WebOS is believed to be the best ecosystem to run a modern smartphone and tablets with its fantastic multitasking and synergy features. With the cash that HP will be pouring into the development of this WebOS and porting it to better and more cutting-edge devices, this will make those devices at par if not better than Andoid and iPhone OS. The future of tablets is the most exciting development in the world of gadgetry. It will surely revolutionize our way of computing, the same way Asus revolutionized the world with its Netbook. With Asus, MSI, and Acer promising to deliver cost-effective tablets before the year ends, it is guaranteed that every gadget-loving-teens will try to afford one. Imagine the flexibility of bringing a lightweight device that you can use inside school to take down notes and browse the web for research. I am already happy with my netbook and iPod Touch but a tablet will sure come in handy. Also known as Salleh. Mostly playing Philippine Ragnarok Online: Valhalla Server. Working as web developer for Hangad I.T. Solutions. 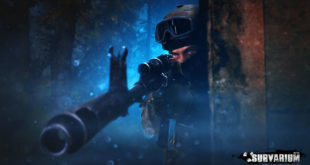 Vostok Games released today it's biggest update to the game Survarium bringing the version up to 0.53.